Paula brings over 30 years of comprehensive experience in the field of consumer insights, strategy development and market analysis. 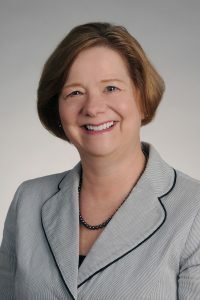 Through her multiple roles as Consumer and Market Knowledge Director at Procter and Gamble, she developed strong insight and analytic capabilities, but also honed skills in creating breakthrough processes and approaches, bringing out the best in teams, and partnering with C-suite leaders to boldly shape the future. Paula has been successful in insights roles across a wide range of organizations focused on areas such as, brand management, upstream product development, sales, ethnic marketing, global and regional businesses. Paula is naturally curious and delights in helping clients find the hidden insights. She won’t rest until she uncovers the real consumer motivators, or the tacit business issues that need to be solved; Learning the things people think, but never say. Paula has experience as an independent consultant working with companies to identify key business challenges, implement learning approaches, and define a way forward. She holds a Bachelor of Science in Business Administration, Finance, from Xavier University, and is a member of the Market Research Association.